Acquirer Domain (the bank and the merchant to which you pay the money). Issuer Domain (the bank that issued the card). Interoperability Domain (the infrastructure provided by the card scheme to support the 3-D Secure protocol). It includes the Internet, MPI (Merchant plug-in), ACS (Access Control Server) and other software providers. Based on Verified by Visa and MasterCard SecureCode protection, 3-D Secure provides an additional security layer for online debit card transactions. It prevents any unauthenticated payment, even if a cardholder's card number is stolen or cloned. 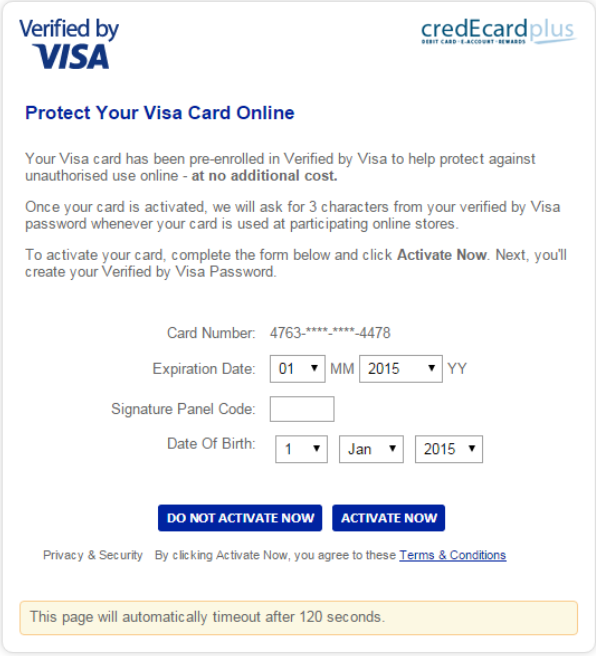 When using VBV for the first time, fill out the following card details in the window that opens: Signature Panel Code (CVV2 number), Expiration Date, and your Date Of Birth. Get acquainted with the Terms & Conditions. 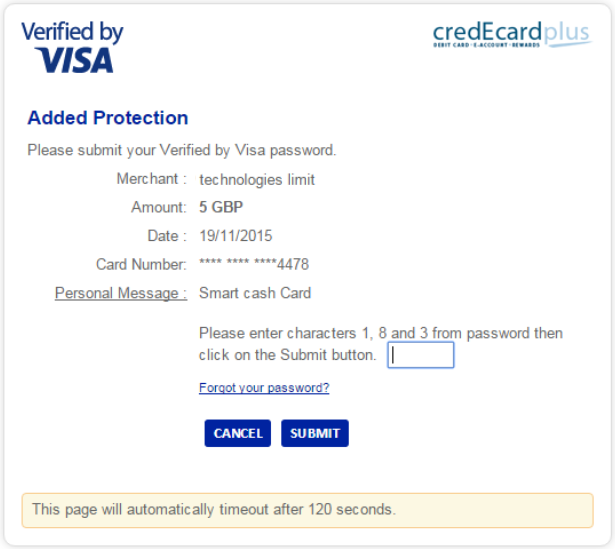 Then, to activate a VBV account, clickActivate Now (by clicking, you agree to the Terms & Conditions). Once you have created the VBV account, each time you make an online transaction supported by VBV, you will be brought to the page below. 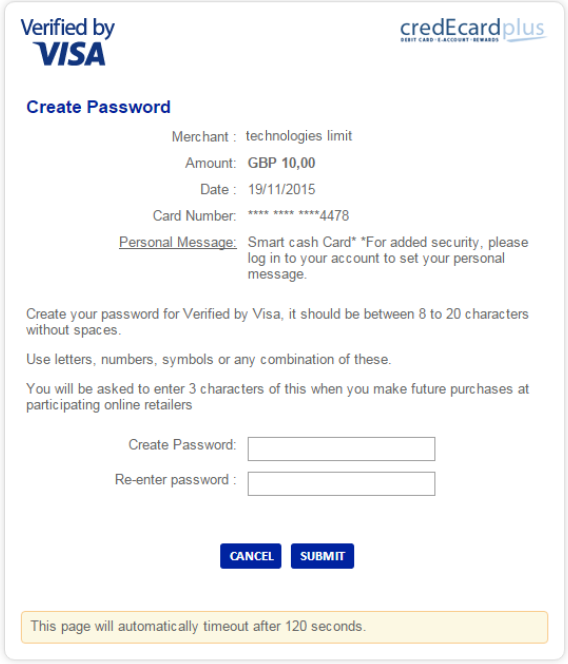 Here, you will be asked to enter your password or a code send to your mobile phone, depending on your bank. Enter it and click Submit. Your identity is verified and the purchase is secure. 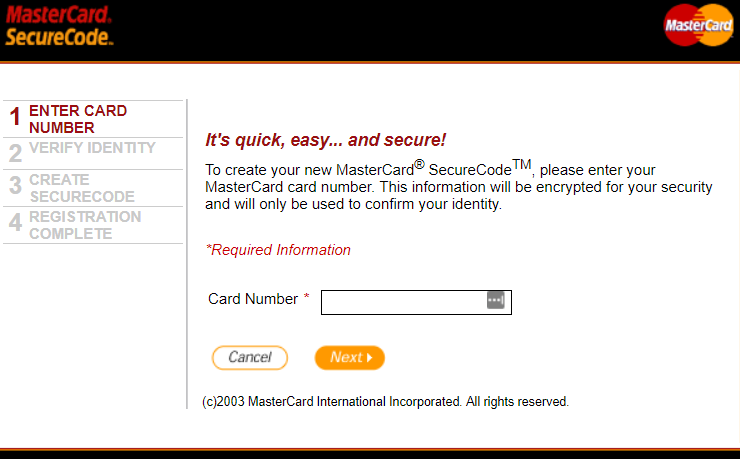 Go to https://www.mastercard.us/en-us/consumers/payment-technologies/securecode.html and click the SIGN UP button, find your bank's website and create your private code as described in the following steps. 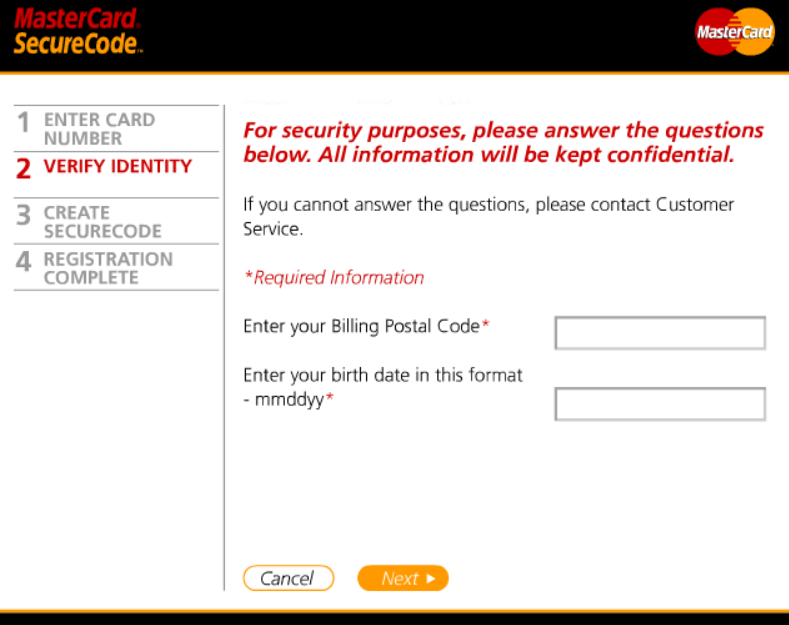 In the setup window, on the first step, enter the Card Number into the corresponding field. Click Next. 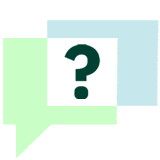 At the second step, please verify your identity by providing the answers to security questions. Click Next. 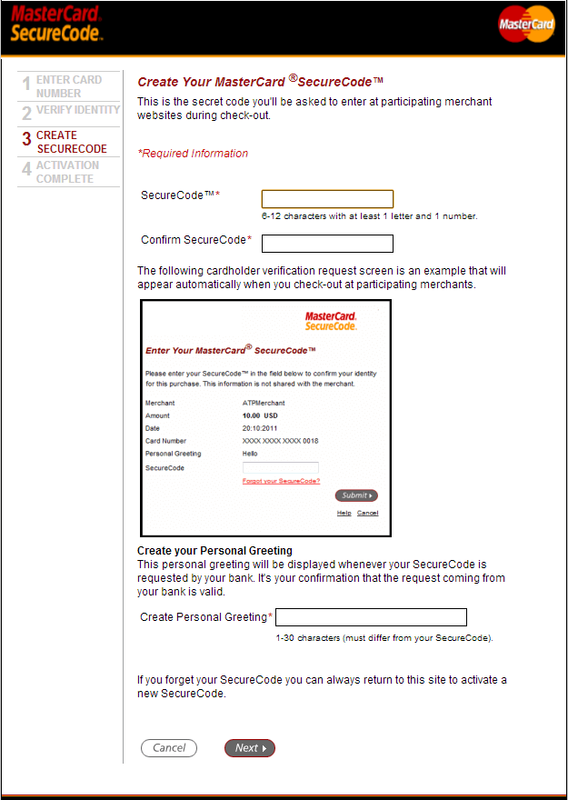 At the third step, please create and confirm your SecureCode. 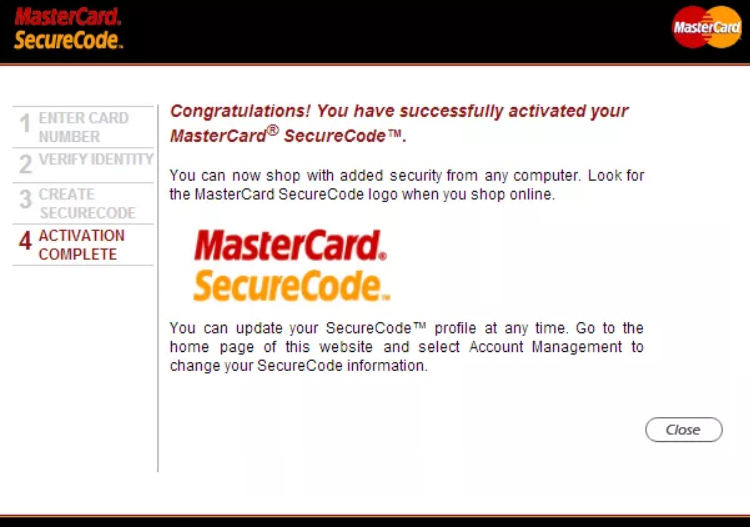 Later, when shopping online, you'll be prompted to enter this code to secure your payment. Click Next. The Activation Complete window confirms your SecureCode has been successfully activated. Click Close. You are now ready to begin shopping online.